Toasting sesame seeds is much like toasting coconut. It doesn’t take long. Place sesame seeds in dry skillet, without overlapping much. Turn heat to low. Watch carefully for the first signs of browning, then shake skillet till most are lightly browned and the nut aroma in the air is prominent. Remove skillet immediately from heat and transfer to plate. Transfer to covered container when cooled and use as desired in recipes. 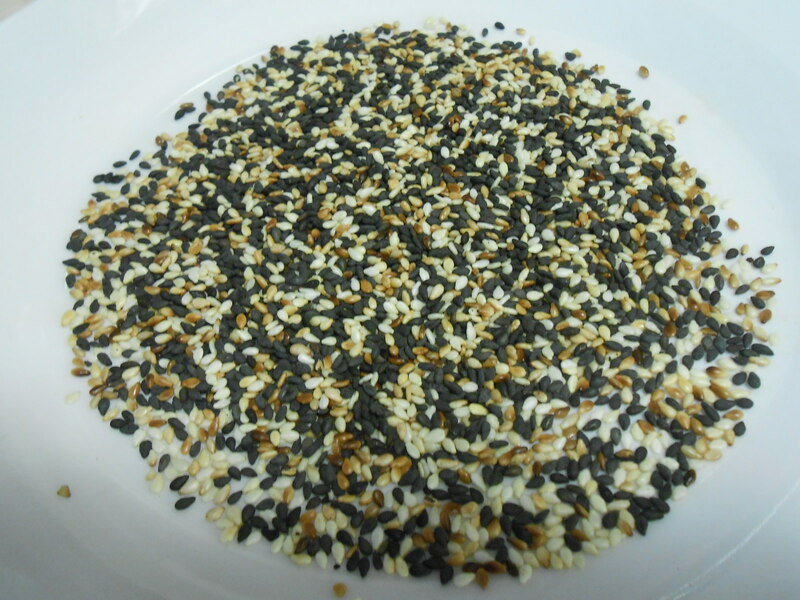 When you taste sesame seeds raw, they won’t have much flavor. Quite the opposite when toasted. I was surprised the first time I toasted these seeds, firstly, how fragrant the air became, and secondly, how much flavor they added to a recipe. I toasted both white and black sesame seeds. Flavor-wise I didn’t taste a difference between the two.